Al Martinez interview conducted March 2012. In 1988 Al Martinez’s life changed forever when he received a phone call from a radio station deejay in Pueblo. “Magic FM disc jockey JJ Valentine played a record we made, and he said the phones lit up,” he said. That record was actually a cassette demo of “Tonight You’re Mine,” a song he and childhood friend Patrick Smith put together with Patrick’s brother Donte', and Al’s brother, Mark. The group sent out the demos to local stations in hopes of getting airplay. 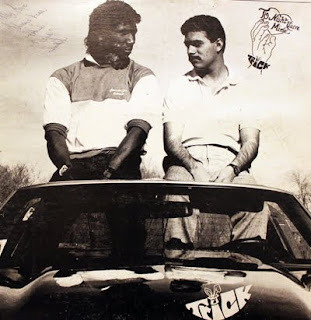 Calling themselves Trick (Patrick’s nickname), the Colorado Springs-based group, which formed just a year earlier, quickly released “Tonight You’re Mine” as a 12” single (Upward Thrust - Trick01 - 1987). The disc was recorded at Startsong Studios, in The Springs, and produced Rich Mouser. Listen to a sample of "Tonight You're Mine"
“Tonight Your Mine” caught the attention of the Aanco record label (which in 1983 released Norbie Larsen’s I’d Rather Be in Colorado). The record brass liked the sound, but not the spelling of the band’s name – changing it to TRIKK. Al Martinez, along with Rich Mouser, produced the group's first LP, Never Say Never (Aanco 28802-1988), and quickly released it to a national audience. 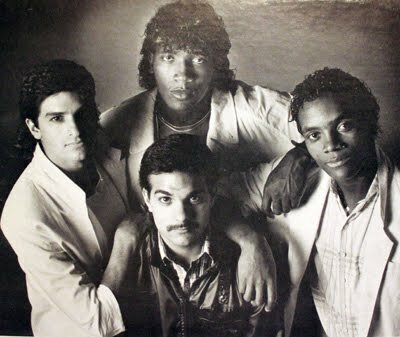 After getting favorable attention from Radio and Records magazine, the album would generate three singles from the mellower cuts on the record, "Never Say Never," "Tears," and “Tonight You're Mine," and one of the dance tracks, "Midnight Lover." “Tears” would go on to be #1 on Magic FM’s countdown,” he said. In 1991, A&M records called a meeting with the group in Denver. "That same year we went to Seattle and recorded what was to be our next release, This Time." The LP spawned two singles, “I Love Italian Girls,” and the title cut. “Both got airplay in Iowa,” Martinez said. After six years together, the band decided to take a break. Patrick headed to law school; Al got married and opened his own studio. 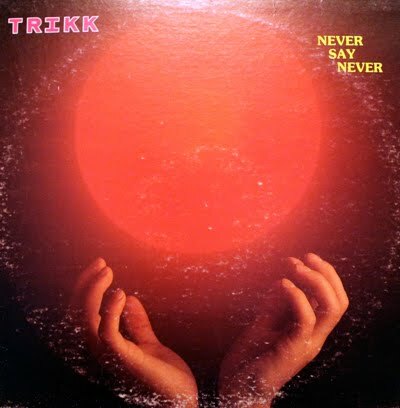 The hiatus would last four years, when, in 1998, Trikk reunited with Eddie Adkins on guitar, and Dave Copeland on bass. The group would soon welcome Dave’s brother, Lyndon. But friction among the members started to unravel the group, and the final CD was never released. Of the original members, Al Martinez went on to open his own studio (Innovative Studios), where he continues to record his own music. Patrick Smith is a lawyer in Portland. Mark Martinez has his own landscaping company in Colorado, and Donte' is an executive for Popeye’s Chicken. Last year the band received a resurgence of interest, thanks to – Justin Bieber.